24 hours seems like a lot of time but as soon as the demands of the day come knocking, they start to feel like minutes. I’m sure your to-do list is as long as mine; you might even have several divided by category like I do. 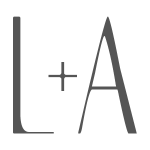 I keep separate lists for work, for home, for cooking and for the blog that get renewed each week. It is a red letter day when I can close the week seeing check marks next to most of the items on these lists, but this doesn’t always happen. I have also stopped disappointing myself by thinking it is realistic to one day have a list with ALL the items on it checked off. I have found that my cooking list gets adjusted most throughout the week to accommodate the others that demand more of my time. I would love, every week, to be able to bake a pie or bread or simmer for hours a pot of ragú on the stove but I’m lucky if I can even accomplish one of the above. I like to serve wholesome, home-cooked meals at home and with obligations outside of the kitchen I’ve grown to appreciate quick, simple dishes that don’t taste like they were hastily and carelessly prepared. So when the folks at Kraft invited me to participate in their Italian Dinner Program to show how Sunday dinner can be transformed into a weeknight meal, they had my attention. I was happy to see several of their recipes having the same qualities as those that I share here: simple but without sacrificing flavor. 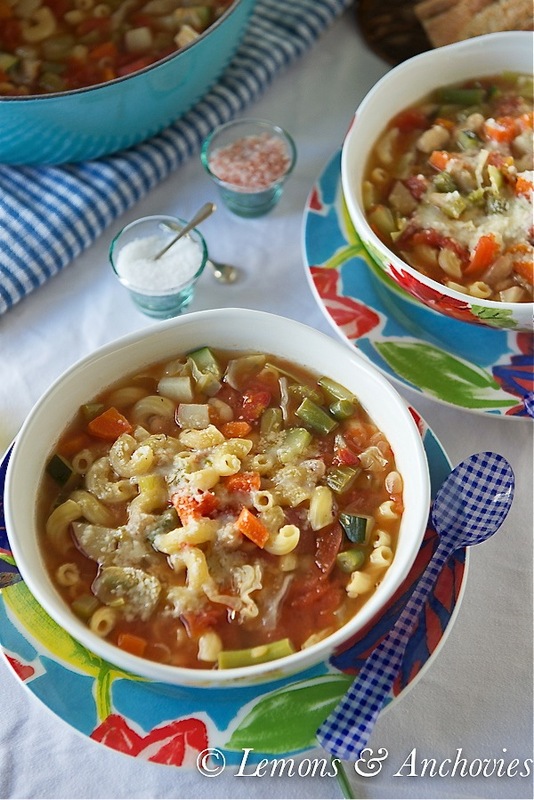 I’ve already shared a recipe for Weeknight Minestrone Soup. 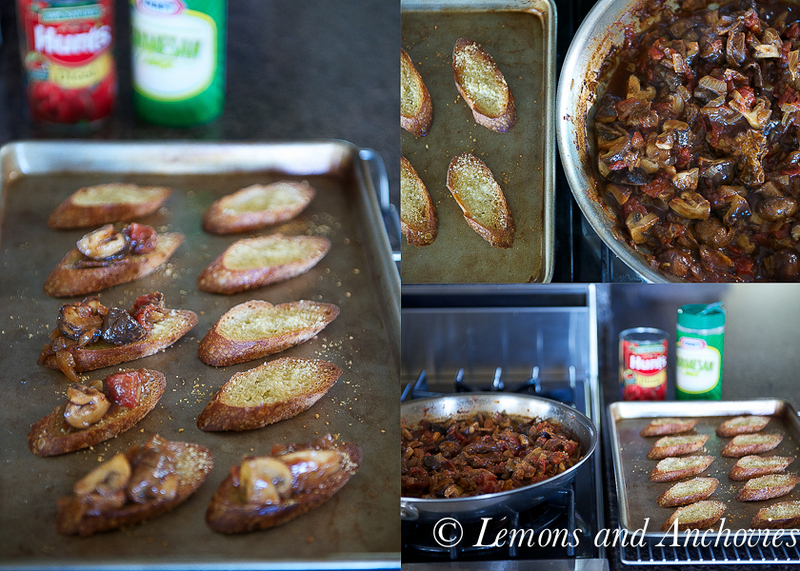 The other recipe I selected was this Parmesan Bruschetta with Mushroom Ragú. With three kinds of mushrooms–cremini, shiitake and dried porcini–it promised to have a lot of depth. I love all three but I like to stress how much flavor dried porcinis lend to any dish requiring mushrooms, including the liquid they’re soaked in. The other ingredients supporting the ragú cast were: thyme, Kraft Grated Parmesan Cheese and Hunt’s Diced Tomatoes. I was happy to learn that Kraft Grated Parmesan Cheese is 100% cheese with no fillers. Does it replace Parmigiano-Reggiano? No, but sometimes ingredient substitutions are necessary. Together with the Hunt’s Diced tomatoes this mushroom ragú turned out thick and rich-tasting even with the short time on the stove. The cheese being added to the mushrooms as they cooked added a nice layer of cheesy punch. Served atop toasted French baguettes, this turned out to be a winner of a meal without requiring too much of my time. Win. 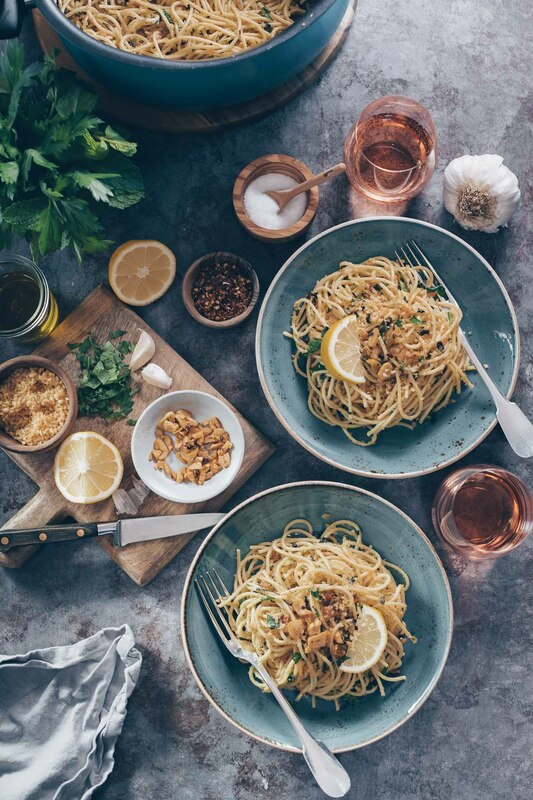 * This recipe is going to be the featured recipe for week 7 of Kraft’s Parmesan Italian Dinner program and will go live on their site on Monday, May 6. 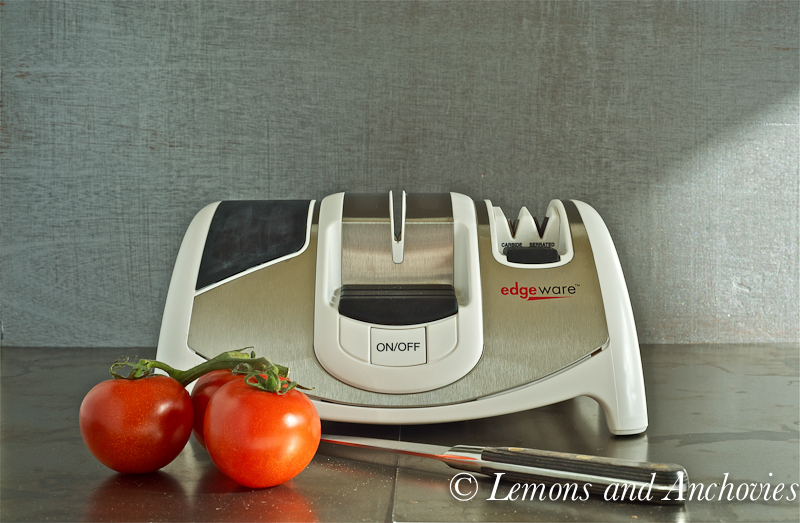 Please check out all the other recipes that will surely help to simplify your menu planning. I am working in partnership with the KRAFT brand and I am receiving compensation for my participation in this campaign. All thoughts/opinions are 100% my own. 1: Soak the dried porcini mushrooms in hot water and let stand for 15 minutes. 2. Cut up the mushrooms and chop the onions and thyme. 3. Heat up the oil in a large skillet before adding the mushrooms, onions, crushed red pepper and half of the cheese. Mix well and cook for 10 minutes. 4. Add the rehydrated porcini mushrooms including the soaking liquid, thyme and the tomatoes to the skillet. Stir, bring to a boil then lower the heat to simmer for 10 minutes, stirring frequently. 5. Meanwhile, prepare the baguette slices. Arrange them on a baking sheet and brush with the remaining olive oil. Sprinkle with the remaining cheese and toast in the oven for 10 minutes. 6. At the end of cooking time, the ragú should be thick and rich. 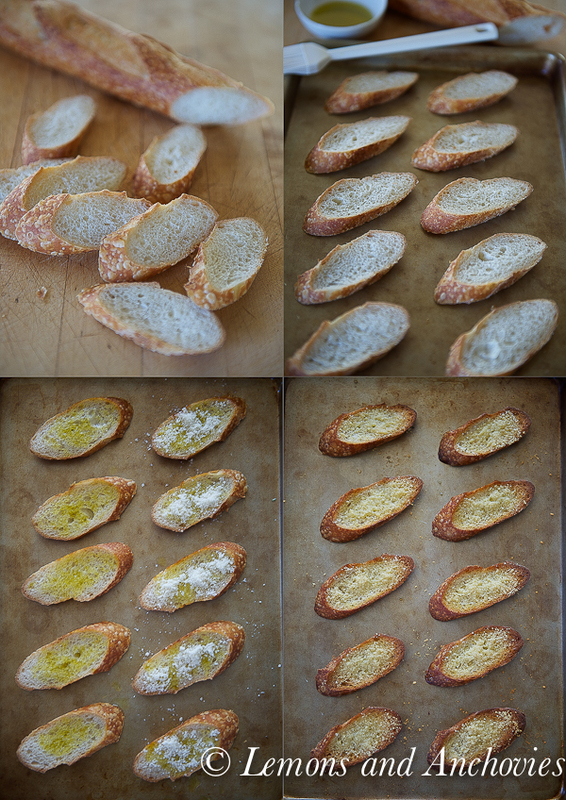 Spoon onto the toasted baguette slices and serve. Add hot water to dried mushrooms in a bowl; let stand 15 min. Meanwhile, heat 1 tablespoon of oil in large skillet on medium heat. 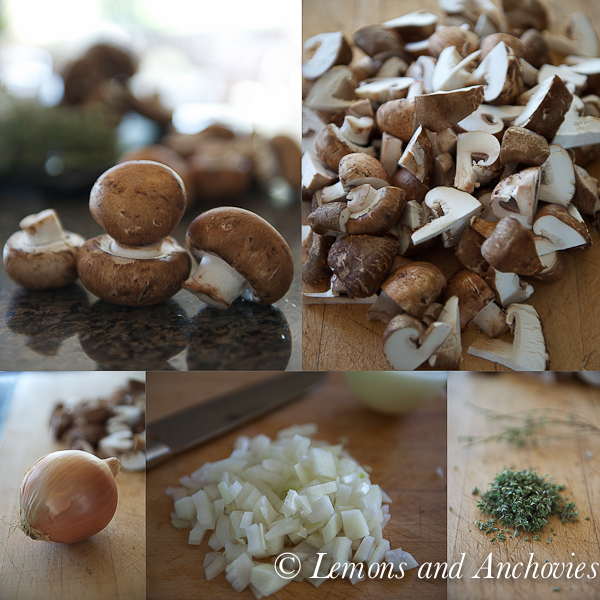 Add the fresh mushrooms, onions, crushed pepper and ¼ cup cheese; mix well. Cook 10 minutes, stirring frequently. 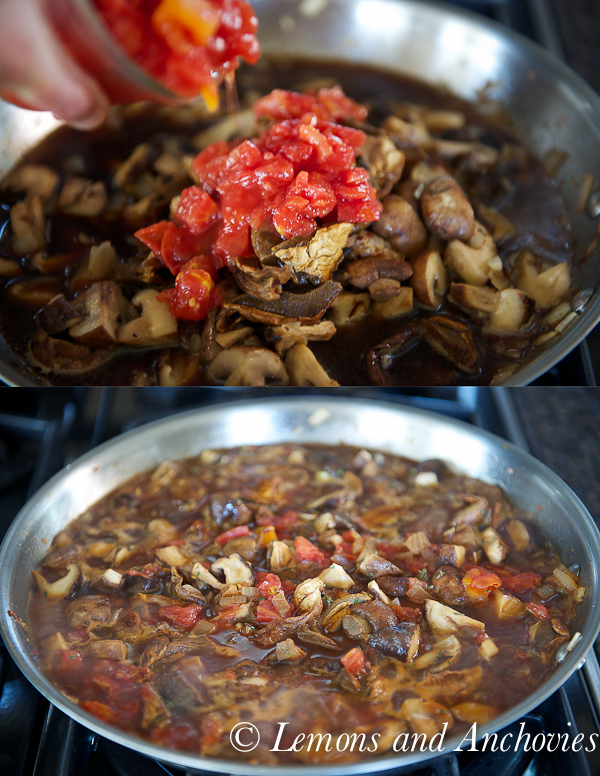 Add the soaked porcini mushrooms, including the liquid to the skillet along with the tomatoes and thyme; stir. 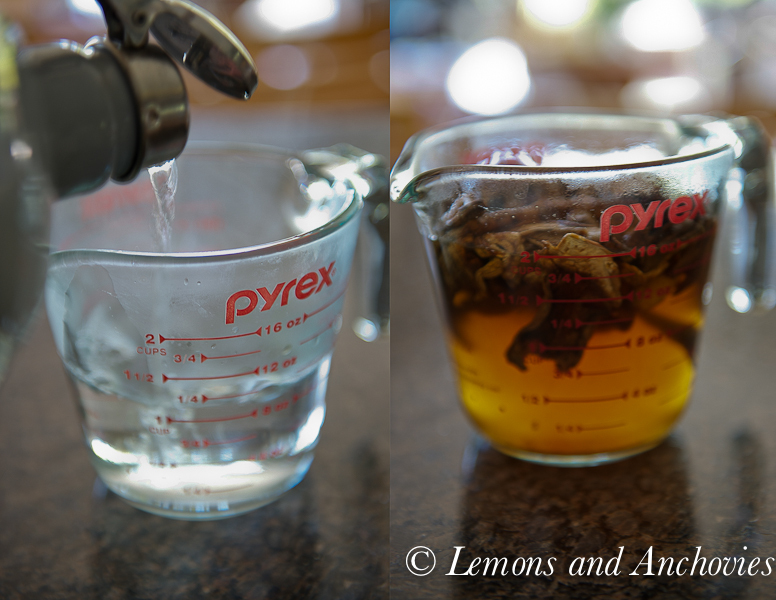 Bring to a boil; simmer on medium-low heat for 10 minutes, stirring frequently. Meanwhile, heat oven to 425ºF. Place the bread slices in a single layer on a baking sheet. 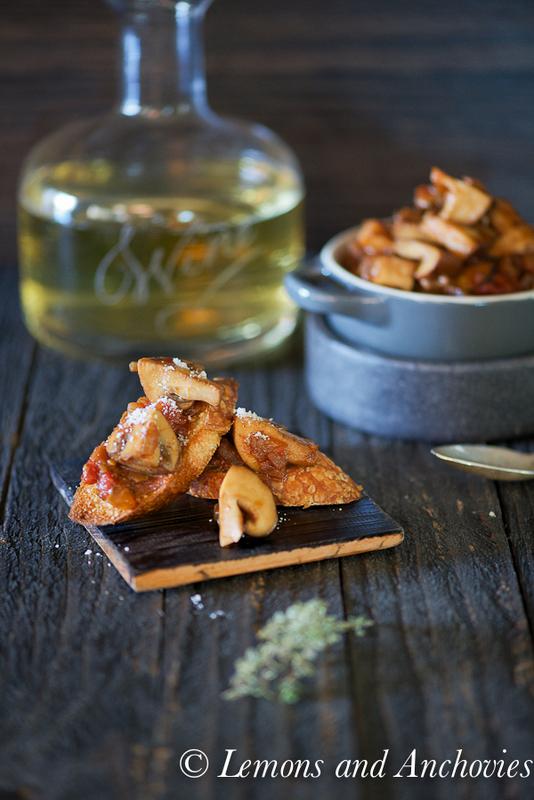 Brush with the remaining 2 tablespoons oil and sprinkle with the remaining ¼ cup cheese. Bake for about 10 minutes. Spoon the ragu onto the toast slices just before serving. 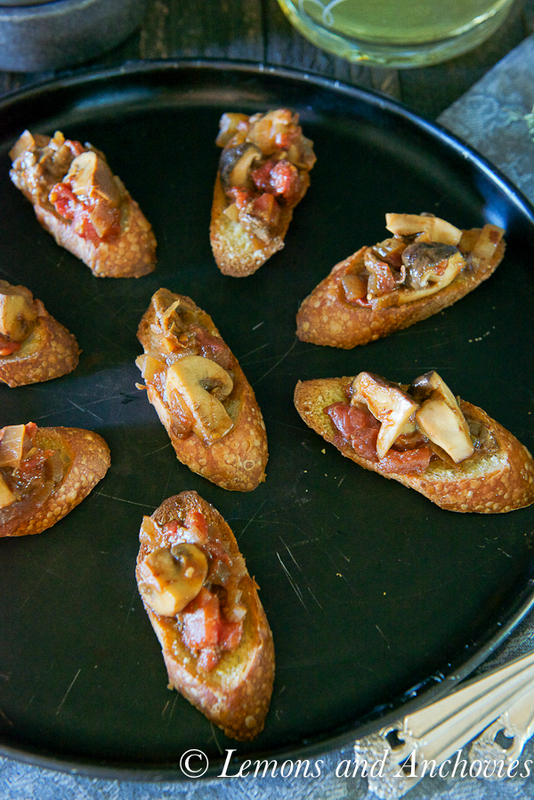 This is my kind of bruschetta – I love the mushroom ragu! Holy cow, Jean, I want one (or more) of those! They sound wonderful. A to-do list feels like an ever-growing ivy, constantly sprouting new tendrils. I don’t think it’s possible to prune completely. Love your post, just the inspiration I needed today. Yes I have a zillion to do’s too and am feeling like I need a major holiday to organize my to do’s! 🙂 Your bruschetta looks fabulous, I can’t ever get enough mushrooms! These bruschettas are so cool and very tempting. I’ve had mushroom bruschetta once, but I’ve never forgotten it!!! LOVE what you’ve done here. I want that entire plate! No doubt that I could eat all those by mahself! What a great recipe Jean! I would love them served alongside some soup or salad for a complete meal. This looks delicious Jean, I think I would have eaten this for dinner because I wouldn’t have been able to stop. I’ve said it before that if I have to give up meat, I’d have to eat tons of mushrooms to give me that “meaty” mouthfeel! 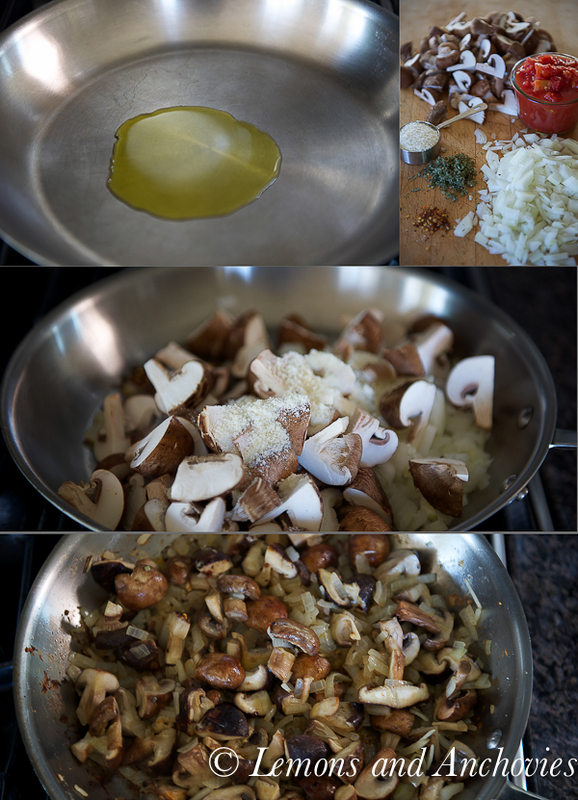 Mushroom ragu on bruschetta with Parmesan – classic! YUM! 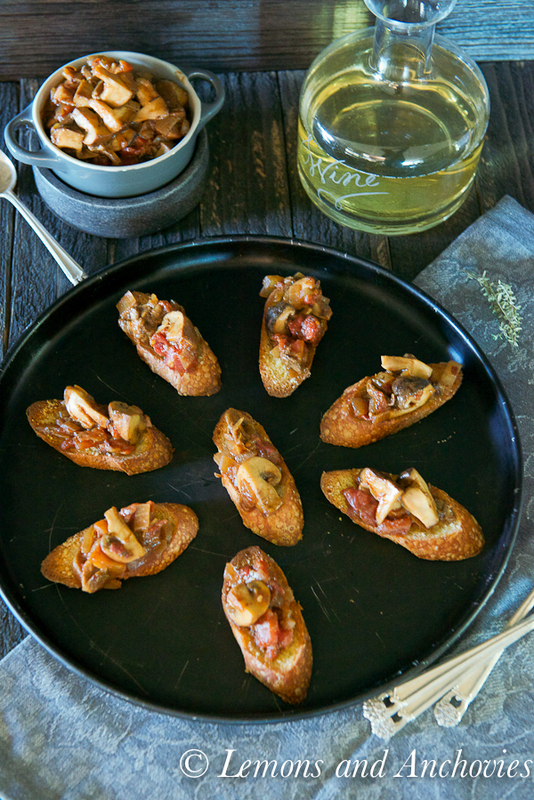 I love all the mushrooms, this bruschetta looks amazing!! Perfect for a party, or just a glass of wine with friends!